The friary also provides a base for many visiting students who come to pursue studies in Dublin. 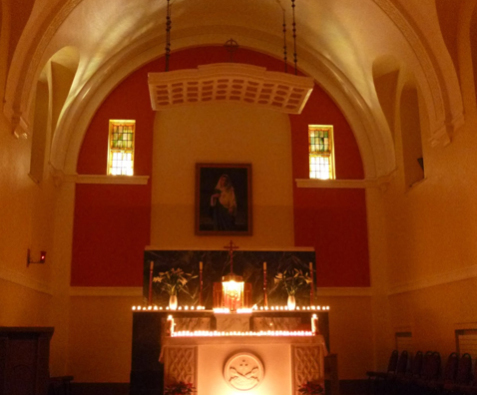 The Oratory is open each day from 6.30am until 8.50pm with Exposition of the Blessed Sacrament all day. Tuesday & Thursday : 4pm to 5pm & 7pm to 8pm. Padre Pio Prayer Group: Every 2nd Wednesday of the month at 8pm. Capuchin Friary, Raheny Road, Raheny, Dublin 5.